Appearance: Deep crimson red. Nose: Harmonious bouquet of blackberries, sweet cherries, cocoa and balsamic eucalyptus. Palate: Great intensity with a very long finish. Wild ripe berries and toasted cocoa notes, with fresh black plums and soft cinnamon. 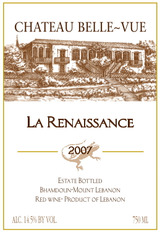 Smooth and well-structured tannins suggest very favorable bottle aging.